Are you ready for your next great adventure? 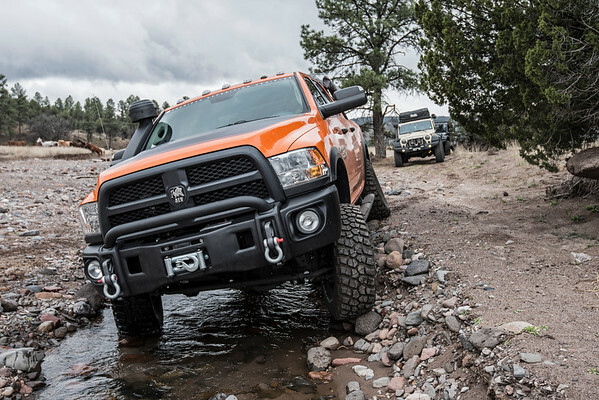 NMBR has released its 2016 expedition and overland adventure lineup. Email NMBackroads(at)gmail.com for details and to register. Summer 2016 El Dorado Overland – Monday, July 18th – Thursday, July 21st | Northern New Mexico | 4 Days | 325 Miles | Elev. 6,500 to 11,200 ft. | NMBR’s El Dorado Overland will traverse the scenic high-country of northern New Mexico during the summer season—when the landscape is verdant. Areas of exploration will include San Juan Mountains, Continental Divide, Taos Plateau, Sangre de Christo Mountains, and Valle Vidal. Summer 2016 Gila Legends Expedition – Monday, August 22nd – Friday, August 26th | New Mexico Gila | 5 Days | 375 Miles | Elev. 4,300 to 9,600 ft. | The Gila Legends Expedition provides New Mexico’s most rugged and remote overland route. Areas of exploration will include Black Range, Plains of San Agustin, Mogollon Mountains, Tularosa Mountains, Elk Mountains, Continental Divide, and Chihuahuan Desert. Fall 2016 Camino del Tesoro Overland – Monday, September 26th – Thursday, September 29th | Northern New Mexico | 4 Days | 325 Miles | Elev. 6,500 to 11,200 ft. | NMBR’s Camino del Tesoro Overland will traverse the scenic high-country of northern New Mexico during the fall season—when the aspens are golden and the air is crisp. Areas of exploration will include San Juan Mountains, Continental Divide, Taos Plateau, Sangre de Christo Mountains, and Valle Vidal. Fall 2016 Gila Legends Expedition – November or December – Dates TBA | New Mexico Gila | 5 Days | 375 Miles | Elev. 4,300 to 9,600 ft. | The Gila Legends Expedition provides New Mexico’s most rugged and remote overland route. Areas of exploration will include Black Range, Plains of San Agustin, Mogollon Mountains, Tularosa Mountains, Elk Mountains, Continental Divide, and Chihuahuan Desert. Spring 2017 Gila Legends Expedition – March or April – Dates TBA | New Mexico Gila | 5 Days | 375 Miles | Elev. 4,300 to 9,600 ft. | The Gila Legends Expedition provides New Mexico’s most rugged and remote overland route. Areas of exploration will include Black Range, Plains of San Agustin, Mogollon Mountains, Tularosa Mountains, Elk Mountains, Continental Divide, and Chihuahuan Desert. Spring 2017 Ghost Divide Expedition & Ghost Divide Expedition II – NMBR’s two Overland Expo West Based Expedition offerings – Dates TBA | New Mexico & Arizona | 5 Days | 500 Miles | Elev. 4,300 to 9,600 ft. | The Ghost Divide Expedition will lead to the 2017 Overland Expo West. The Ghost Divide Expedition II will depart from the 2017 Overland Expo West. Areas of exploration will include Gila, Black Range, Continental Divide, Mogollon Mountains, San Francisco Mountains, White Mountains and Mogollon Rim.